Singapore is on the fast track to its analogue broadcasting switch-off and is taking a number of measures to ensure the move to digital is as smooth as possible. This means making sure thousands of lower income homes aren’t left in the dark when the switch happens in the coming years. The Media Development Authority (MDA) has launched the Digital TV Assistance (DTVA) scheme to provide free digital set top boxes to thousands of homes. The MDA has appointed telecom company M1 to install indoor antennae and set top boxes across the country so homes, even with older television sets, will still receive transmission from broadcaster MediaCorp. The set-top box, which usually costs about $130, will be free to the applicant. Over 160,000 Singaporean households will qualify for the new scheme, says Koh Lin-Net, MDA Chief Executive Officer. Up to 24,000 of these homes, where residents receive aid from social assistance program ComCare or other state assistance, will automatically be registered. Anyone else interested will need to apply. Other agencies like the Ministry of Health and Ministry of Social and Family Development were involved in the planning and organising of the MDA scheme to create a criterion that would best suit the demands of those that need it the most. “It is important that no one is left behind in this effort because once we roll over to digital with Singapore fully covered, we will switch off analogue,” said Yaacob Ibrahim, Singapore’s Communications and Information Minister upon launching the scheme. The Media Development Authority says it will offer the assistance scheme as long as the digital TV rollout continues, which the authority expects to be completed in two to three years’ time. MDA promises viewers a better service and picture quality through digital. Applicants will need their own working television with no current pay-TV or digital TV subscription. The household must have a monthly income of $1,900 or less or monthly income per person of $600 or less. Alternatively, for those with no income, if your residence has an annual value of $13,000 or less, you will qualify. According to Singapore’s Department of Statistics in 2013, the median monthly household income is $7,870, growing steadily [PDF] since 2008. Another crucial element of the DTVA scheme pertains to citizenship. Only Singaporean citizens are eligible for assistance. As a result, this excludes the near one and half million non-resident population of Singapore. Shandwick based in Singapore, a global PR firm with major clients such as Microsoft and Facebook. The DTVA scheme is part of a wider picture among many Asian countries to advance their digital and online capacities. The Association of Southeast Asian Nations (ASEAN), a political and economic committee that also includes Indonesia, Malaysia and the Philippines, has been committed to a digital switchover for a number of years and Singapore has been one of the more advanced nations with some member states lagging behind. Currently in Singapore, seven estates are “lighted up” for receiving digital transmissions through an indoor antenna – Bukit Batok, Jurong East, Ang Mo Kio, Clementi, Bukit Timah, Bukit Panjang and Chua Chu Kang South. Spreading the word to applicants will be a hurdle for the MDA, which will involve some traditional methods to bring digital to the fore. “Our grassroots volunteers help to communicate government policies and schemes simply to residents, often going house to house as well as at many of our grassroots activities, so that more can benefit from them,” explains Arthur Fong, MP and Grassroots Adviser to Clementi Grassroots Organisations. Volunteers will spread the word throughout different areas to ensure people are aware of the scheme and help those that are eligible to apply. According to internet Live Stats, nearly 4.5m of Singapore’s 5.5m people are connected to the internet, an 80% penetration. While Singapore has a much smaller population than some of its ASEAN neighbours, its internet penetration is much greater. Only 2% of Malaysia’s 30 million people are online while Indonesia sits at 16% of its 250 million people. “Singapore is a much smaller nation with a smaller geographic area, and the logistics for rolling out digital TV are far less complicated than they would be in a huge archipelago like Indonesia or Malaysia,” explains Lovell. A number of different schemes have ensured that Singapore connects more of its people to the internet as well. The Singapore government has also launched the Digital Inclusion Fund to connect more people to the internet and as a result, it has one of the most impressive penetration rates in the region. 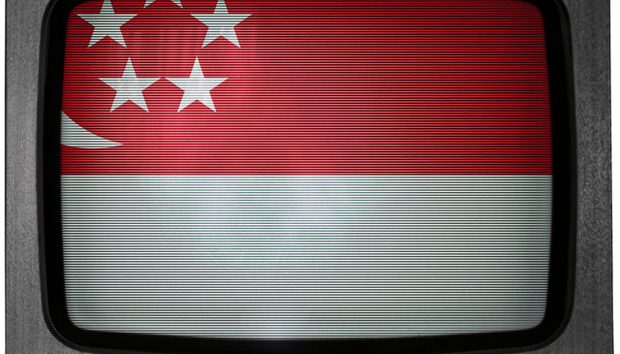 Singaporean agencies will hope to repeat that track record with the digital TV rollout. The next challenge for Singapore is maintaining the quality of service and access to content. While Singapore appears to enjoy these spurts of digital and online growth, the country still ranks very low on press freedom according to Reporters Without Borders, with the MDA, which is the very agency that has launched the Digital TV Assistance Scheme, exercising censorship over Singaporean TV channels. As Lovell notes though, with internet subscriptions growing, more and more users ended up circumventing tight TV controls by accessing news and content online.